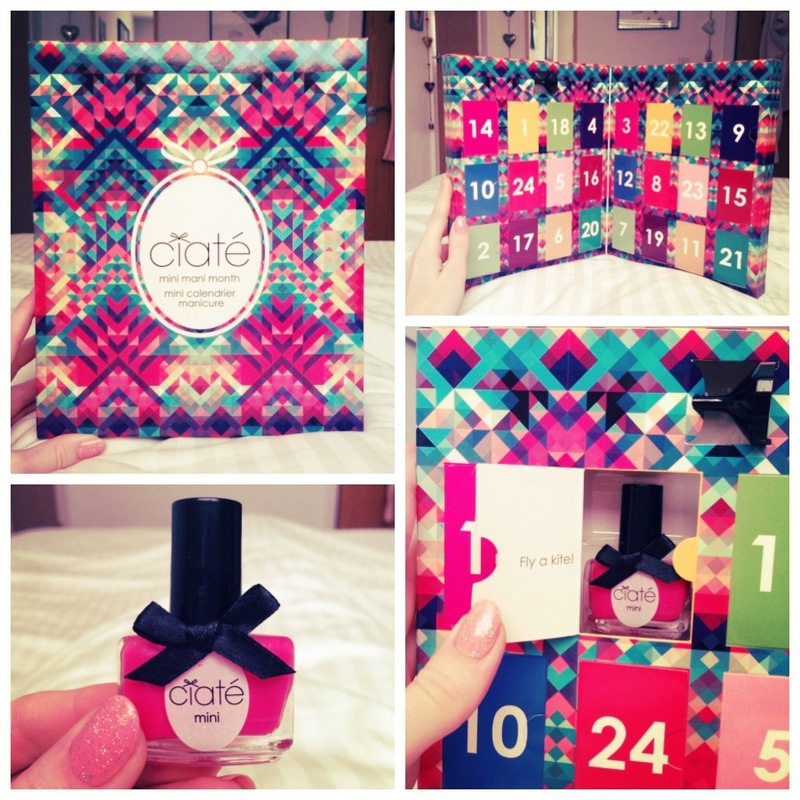 You have probably seen me blog about this beauty already. 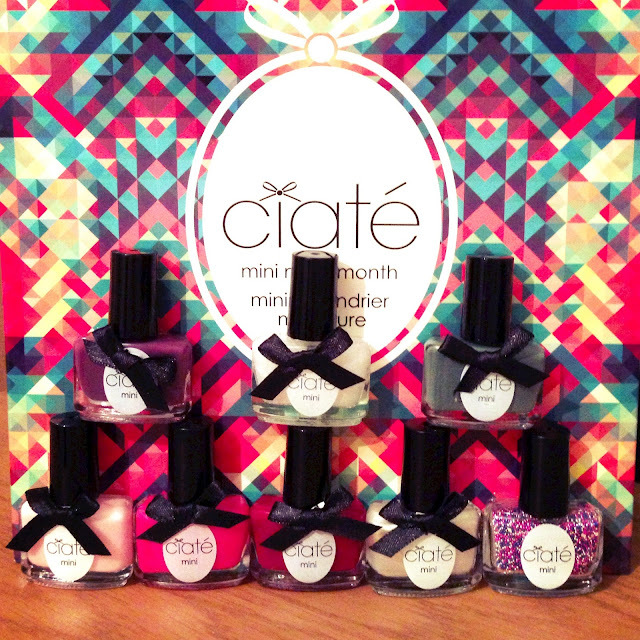 It is called the Ciate Mini Mani Month and its a gorgeous, beauty twist on the usual advent calendar. Yet, rather than chocolate in each door you get a cute mini Ciate polish. When I saw it, I had to have it and managed to find one on the QVC site before they sold out everywhere. They were literally like hot cakes. Anyway, I thought I would blog about the colours opened for each week just to show you what was inside, which I love and which colours you should think about buying. This was day number one and the day I could finally open the door I had been dying to open for over a month. 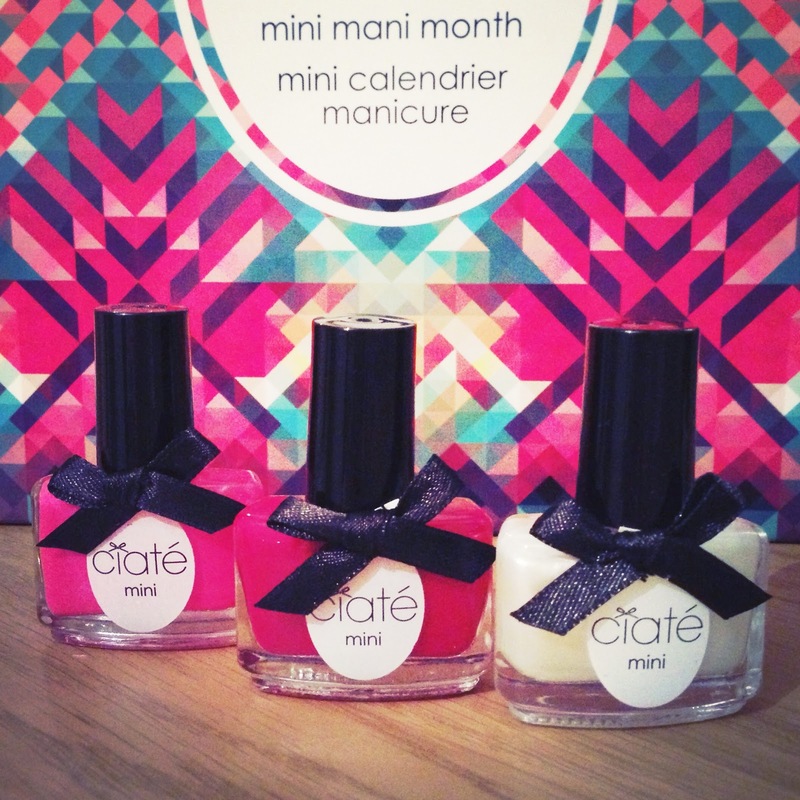 The shade was called cupcake queen, a bright, fuschia Barbie pink and an exciting start to the month of minis. So what else is inside? 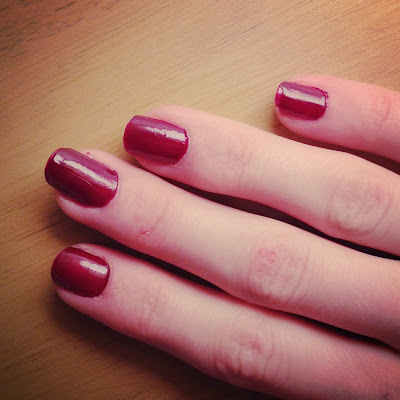 Here is cupcake queen with dangerous affair, a dark blood red pictured on my nails below. The third shade is angel wings, a beautiful golden cream and one of my favourite shades so far. I cant tell you how loud I squealed when I opened the door with the first of the caviar pearls. These are in Prom Queen, a mixture of metallic blue, light gold and bright pink. The colours are gorgeous and look almost good enough to eat. 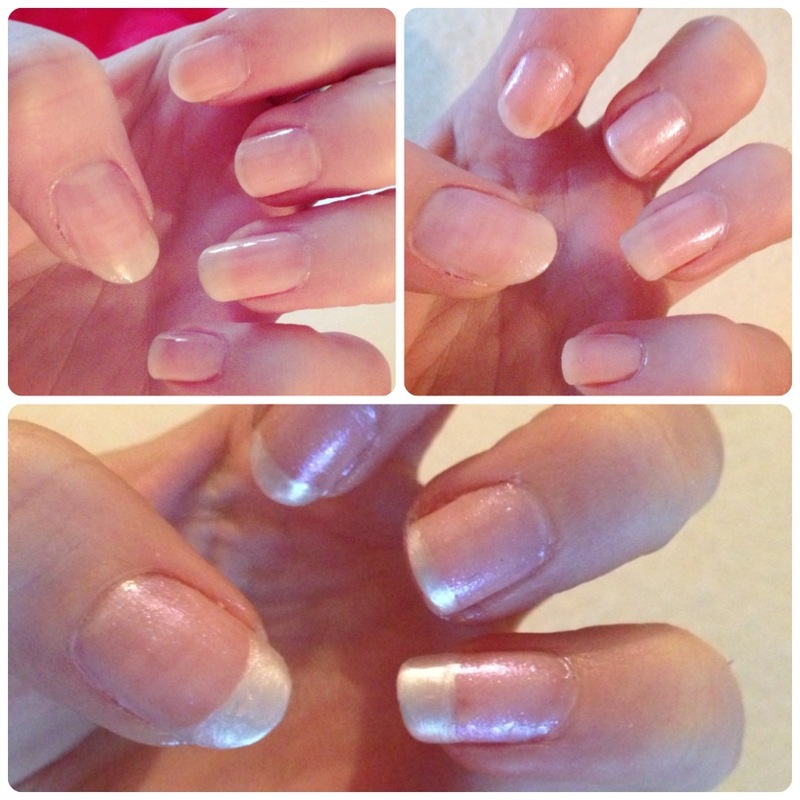 Halo is a more translucent shade with a pearlescent tone and glitter. 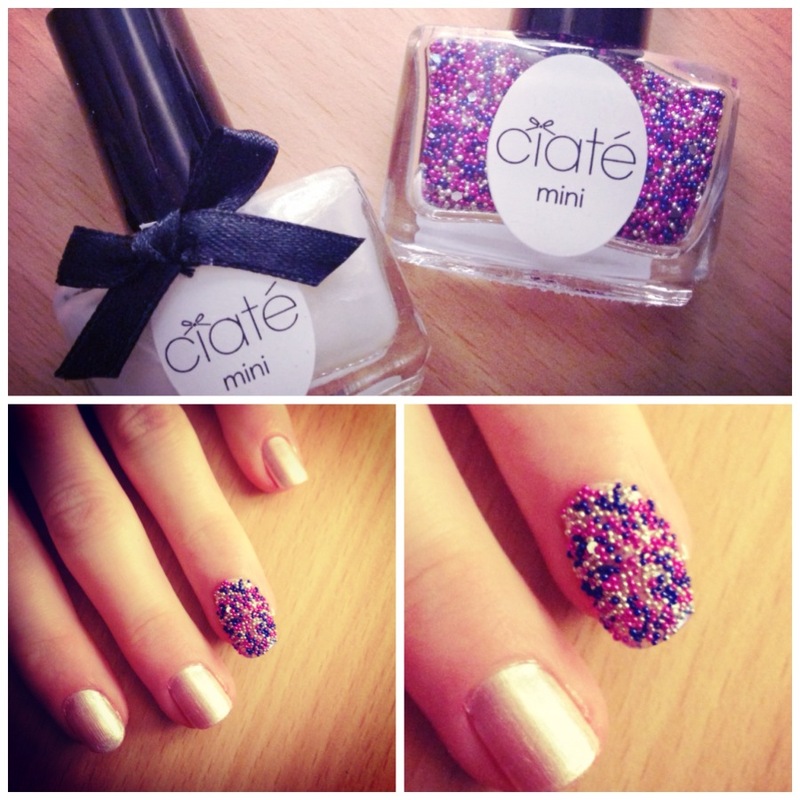 Perfect to maybe paint over the top of another colour to add a shimmer. Cabaret is a more aubergine tone in a deep purple. 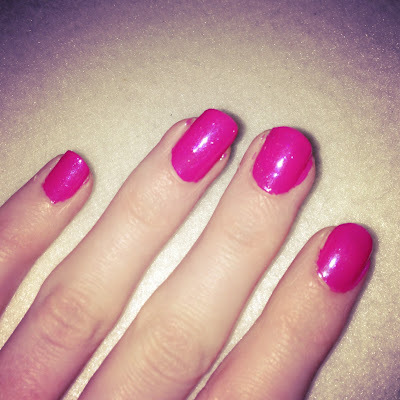 Not my favourite shade but I think it could be lovely paired with another colour or with halo painted over the top. These were the shades I picked for my works Christmas party. Angel wings on each finger with prom queen caviar pearls sprinkled over my fourth finger on each hand. 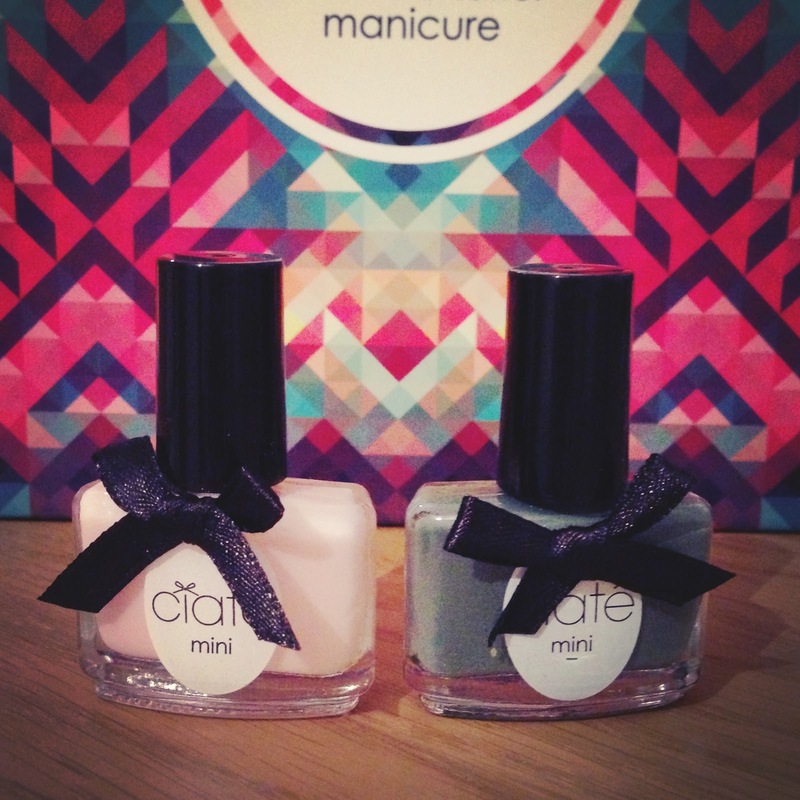 The seventh and eighth polishes are cutie pie, a cute baby, creamy pink which I have been looking forward to finding. It is a great shade to create a french manicured look, especially with angel wings painted neatly on the nail tips as I tried below. I also painted Halo over the top of cutie pie before adding angel wings. Vintage is a khaki green and a nail colour I have meant to pick up for a while to try. I think it might be a little dull, similar to cabaret, but I will give it a try and see what I think. So here are the colours swatched quickly on paper. My favourites are definitely angel wings, prom queen and cutie pie. 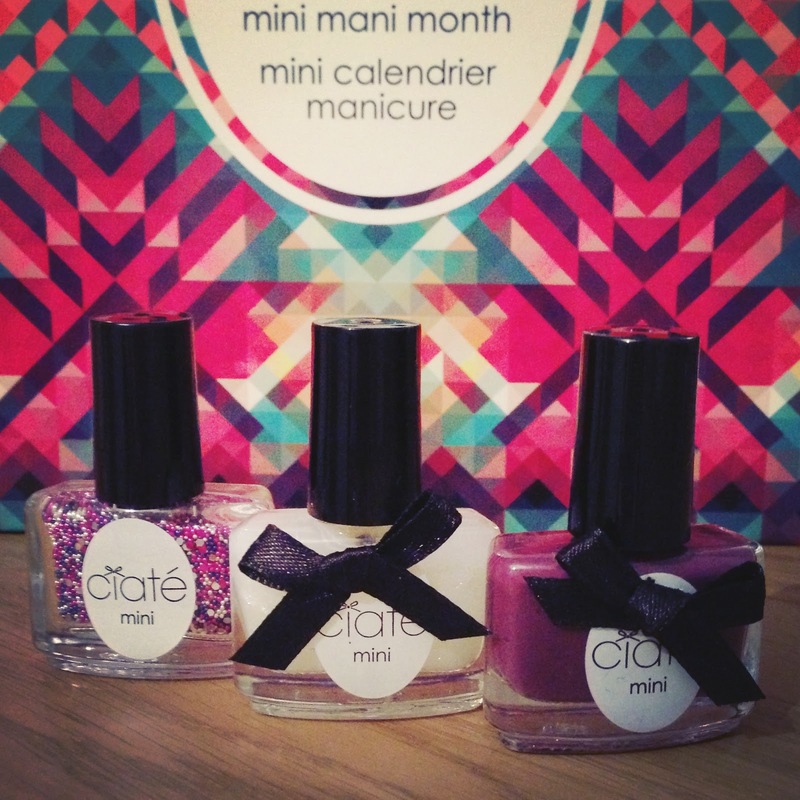 I cant wait to start pairing the colours together and creating different looks to show you. What do you think of the colours so far?